and repaired countless other VM Engines! The VM Diesel Specialist Ltd is devoted purely to reconditioning and supplying genuine Vancini and Martelli (VM) spare parts for the complete range of VM Motori diesel engines. 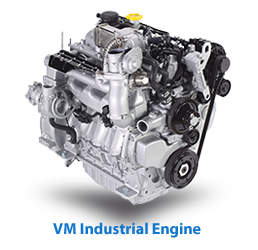 These including the Chrysler Voyager, Jeep Cherokee, LDV Maxus vans, diesel Mercruiser & Cummins Mercruiser marine engines, manufactured by VM, also BMW marine diesels, industrial and road sweeper 64B & 65B VM engines, including euro 4, 5 & Euro 6 VM Motori common rail diesel engine. 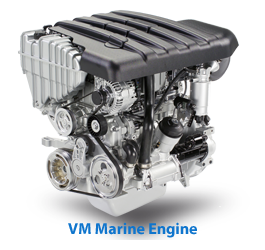 The VM diesel engine company manufacture industrial, marine and automotive diesel engines, in air and water cooled versions, from small automotive diesel engines of 1.5 litres up to marine & industrial diesel engines of 22.29 litres. We cover the complete range. The VM Diesel Specialist Ltd can repair or recondition your VM Motori diesel engine, supply new VM diesel engines or supply new or used VM spare parts if you prefer to repair your own engine, particularly if it is a more obscure application. The VM Diesel Specialist Ltd can also offer a full range of engine repair, machining, pressure testing electronic diagnostics and component checking services. As we carry a full range of spare parts and we have all the special tools for the VM diesel engines, we can carry out repairs and reconditioning to your engine quickly and efficiently without the long wait that can occur at some repair shops. Having started the company back in 1988 (specialising purely in VM Motori diesel engines), we firmly believe that The VM Diesel Specialist has reconditioned and repaired more VM industrial marine and automotive diesel engines than any other company or individual in the UK. Hence since 1988 we have gained more experience and more knowledge than anyone else as far as VM diesel engines are concerned. HR 94 Industrial 64B & 65B – Road Sweeper, MATHIEU, BUCHER, SCHMIDT, JOHNSTON. EURO 4, 5 & 6. VM SU and SUN Industrial Air cooled Diesel engines. SUN 105 series. VM Motori D700 Industrial water cooled – D700 series. 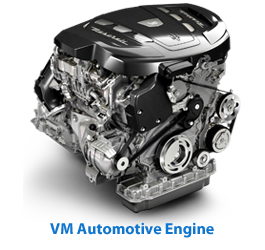 VM Motori Air and water cooled VM engines, Vee engines, SU and RA series. VM MERCRUISER, VM CUMMINS MERCRUISER AND BMW Marine Turbo Diesel engines – HR, MID, MD, MR.
LONDON TAXI LTI TX4, VM R2516C and RA428. VM Diesel Specialist Ltd Copyright © 2019.